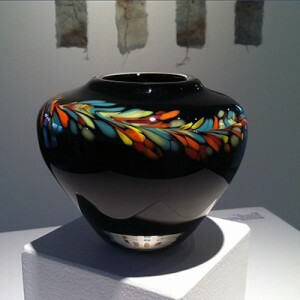 The first commission of artwork by Heights Arts to a regional artist is a beautiful hand-blown vase by Cleveland glass artist Sue Berry. 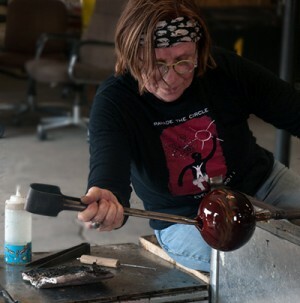 Each hand-blown vase is slightly different in form and surface design, yet all share the distinctive multi-color swirl, which Sue created solely for Heights Arts. It is produced in a limited edition of 25, with each piece signed and numbered by the artist.